i b i k e l o n d o n: Bunting! Cake! Bicycles! 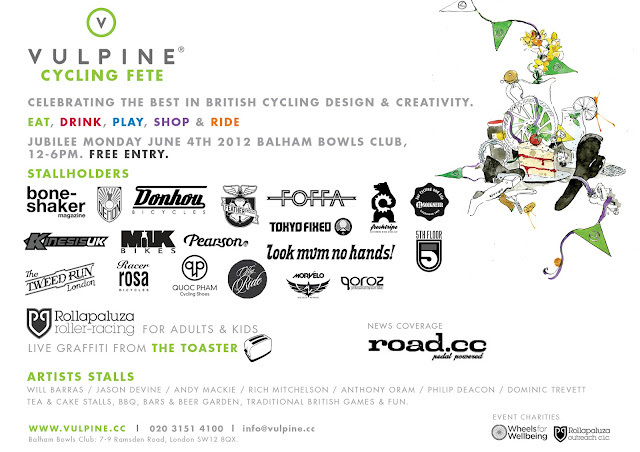 Come to the Vulpine cycling fete this weekend! Bunting! Cake! Bicycles! Come to the Vulpine cycling fete this weekend! London is looking resplendent decked out in bunting and Union Jacks and is all set for the Jubilee celebrations this weekend. And I couldn't think of a nicer way to spend a bank holiday weekend than at a fete for bicycles and their riders! New (very new!) independent cycling apparel brand Vulpine.cc have created a unique event to celebrate all things bicycle related this Jubilee weekend. The Vulpine Cycling Fete is taking place at authentically retro Balham Bowls Club on Monday June 4th from noon till 6PM and will feature all sorts of two-wheeled fun and frolics, not to mention tea, cake, bunting and beers. Small bike brand Feather Cycles will be there, as will Pearson Cycles and Tokyo Fixed. A Tweed Run contingent will be keeping a sartorial eye on proceedings whilst Bone Shaker Magazine and the Road.CC team will be on hand for those in need of a good read to retire beneath the shade of a tree with. There will be fun and games for kids, and fun and games for very big kids in the form of those punishing boys and girls from the Rollapaluza Roller Racing Crew (what do you *mean* you haven't tried roller racing yet?! What on earth are you waiting for?!!) A range of local artists will be exhibiting their wares on craft stalls, including popular cycling illustration man about town Rich Mitchelson. To top off proceedings there will be an auction of a variety of objects of cycling loveliness , with proceeds going to the fantastic charity Wheels for Wellbeing. The auction is online now and there's all sorts of fantastic objet up for grabs for this superb cause. Vulpine was founded by enigmatic husband and wife team Nick and Emmalou Hussey (and their Jack Russel, Lilly) and their new range of designs include a fantastic top of the range jacket which would look as at home in a serious road race as it would on a quick commute to the office, and their range is also suitable for women. Nick explains their reason for organising the fete; "[We wanted] to bring some fun and vibrancy into cycling events and shows. We wanted to create an event that both of us could enjoy, along with friends and their kids, with nobody bored or left out. The event is free, and welcoming of all cyclists, whatever their creed, interest or ability. We hate cliques! It will be fun for non-cyclists too. And there's even kids stuff. 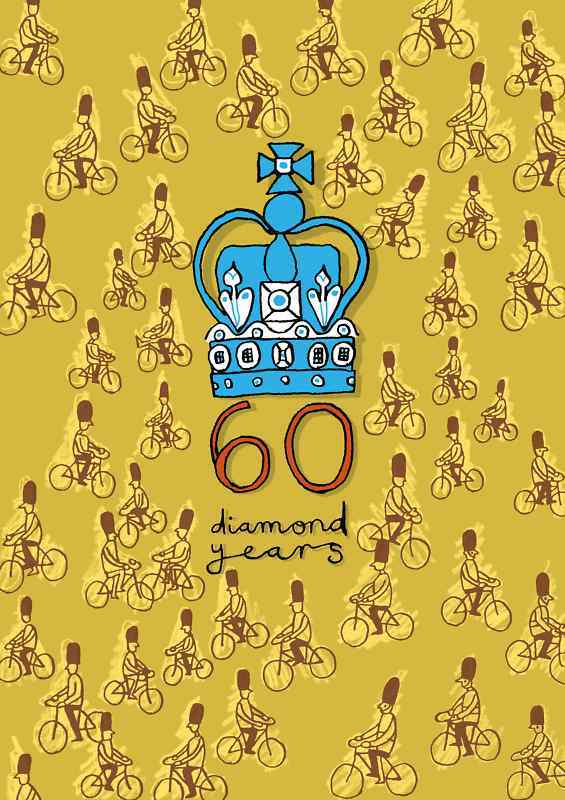 Add in bunting, cake stalls, tea, coffee, beer garden, BBQ, artists and a host of entertainment and you've got a great way for everyone to celebrate design, entrepreneurialism and cycling." If river pageants and Gary Barlow concerts aren't for you then the Vulpine Cycling Fete is going to be the place to be this Bank Holiday weekend. Get on your bike and ride!